The house is decorated for Christmas | Tales From The Ipe! We had the house decorated for Christmas again this year. Like last year, we used the same company to come out in November (before Thanksgiving) to design and decorate Christmas lighting. 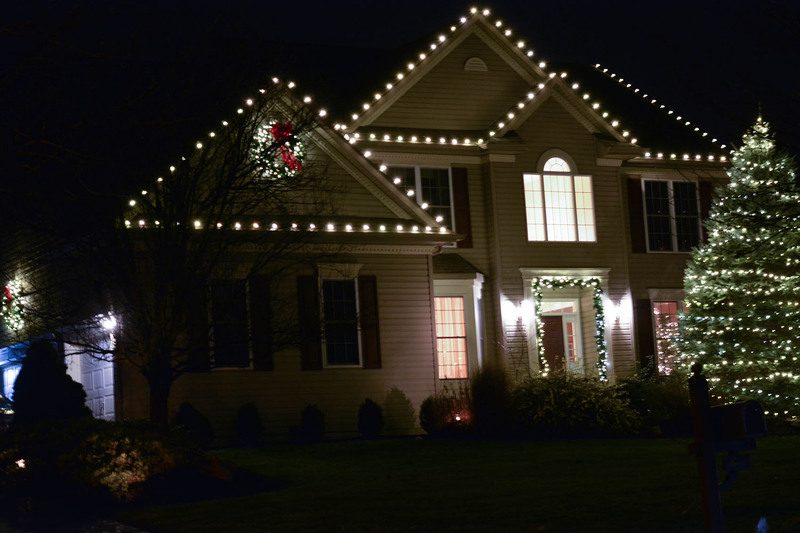 This year, we added in an extra wreath over the garage, and lighted garland around the front door. I like it, but may want to try out another design next year. You know, just to change it up. Yes, I’m sure some of you are questioning why we would want to pay someone else to decorate the exterior of the house. Seriously though, we don’t have time to decorating like this. I am not getting up on the roof line to put in lights. I’m not spending hours to decorate that large tree on the front lawn like that. It would either take me forever, or I’d never finish before Christmas. This entry was posted in News and tagged christmas, christmas decorations. Bookmark the permalink.